First Ladies Block of the Month began on September 14, 2013. 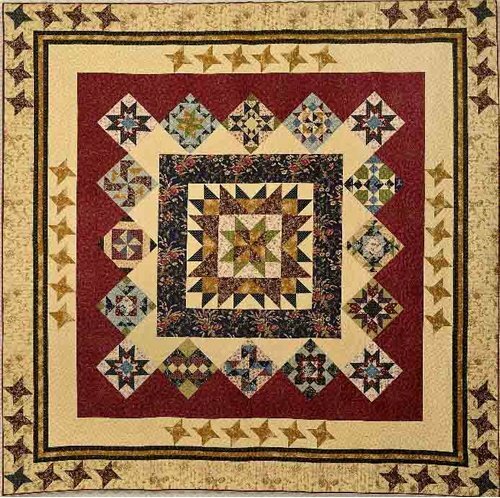 This Block of the Month project was designed by Denice Lipscomb of Common Threads Quilting in Texas, the same designer as our Women of Courage BOM this past year. The fabric was designed by Nancy Gere, and is stunning in blues, burgundies, plums and greens. The blocks celebrate twelve First Ladies of US Presidents, and their contribution to the United States. Kits are $24.99 per month with a $50 deposit that will be refunded on your backing fabric purchase at the end of the program.